One thing entrepreneurs find out quickly is they don’t know about a lot of stuff. Healthcare laws, distribution chains or — likely as not — how information technology can contribute to the success of their venture all seem like deep dark secrets. Even for startups in fashion or fine dining, having a grasp of the power of IT can move a dream to profitability. Nurture that IT awareness early. Nurture that IT awareness early. If you know high schoolers with their eye on entrepreneurship, understanding information technology, and systems gives them that shot of confidence to get going on their dreams. A weeklong Information Technology and Systems summer camp at The University of Texas at Dallas Naveen Jindal School of Management is designed to give high schoolers a chance to learn the elements of ITS while at the same time giving them space to explore how technology can support entrepreneurs. “If you give kids a good set of tools, they can take these tools and go places that adults just don’t think about.” – Dawn Owens, Ph.D.
“If you give kids a good set of tools, they can take these tools and go places that adults just don’t think about,” said Dawn Owens, Ph.D, director of the undergrad ITS program at UT Dallas’ Naveen Jindal School of Management, as well as the mother of three. “We’re going to cover a lot of information in one week that will be critical for anyone who hopes to one day to have a rich business experience. Knowing ITS can help anyone, whether they want to work in business or start their own company. ITS can provide solutions in places you don’t even think about—whether it’s a food truck or a custom furniture maker. How to build a computer: Teens will get a box of parts and figure out how they all work together. How to safeguard information: Learning how hackers get into computers helps teens learn how to protect their own data and the data of the company they may want to create. How to tell stories with data: Visualization—what this data might look like in a graph, for instance—is key to understanding all the data an operation may collect. Attendees also will visit company sites and take a tour of the UT Dallas campus. Companies also look for entrepreneurial spirit among their ranks. So, high schoolers who end up in more traditional jobs with large corporations will find that understanding ITS will improve their overall confidence, she said. 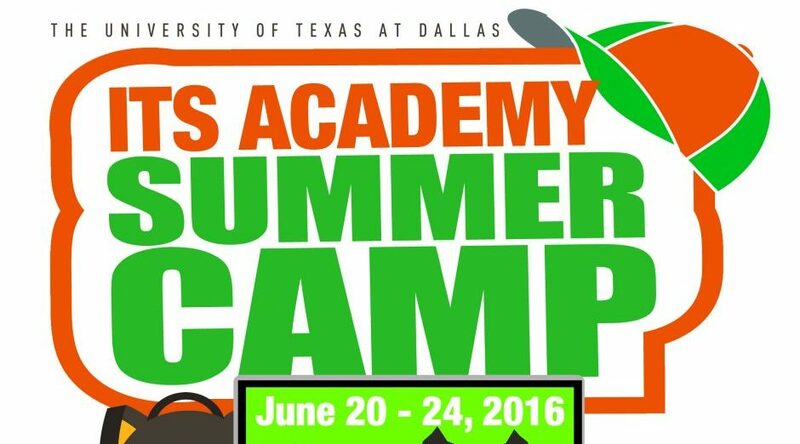 The day camp is 9 a.m. to 5 p.m., June20-24 at the UT Dallas campus. Cost is $495 and includes breakfast and lunch along with all supplies. Information is at Jindal.utdallas.edu/itsacademy.